Acute Care is provided in the USA and Canada Only. An acute issue is something that is a sudden onset and lasts LESS than 30 days. Conditions lasting 30 days are considered chronic care - you must request chronic care instead. call your doctor, medical practitioner or 911 now. PLEASE READ THIS BEFORE SUBMITTING THE FORM BELOW. We DO NOT accept new acute requests if the Client has already started any acute prescription drugs, including steroids, inhalers, antibiotics and/or are currently being hospitalized. 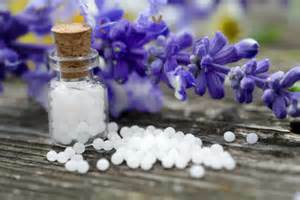 Medical insurance does not cover our homeopathic services. from 9 am - 4 pm (PST). on all Fridays, weekends or legal holidays until the next business day. Returning Acute Care Clients must have access to a 200C remedy kit for care. Acute Care Fees - Health Conditions must be 30 days or LESS for acute care. Acute Care: $150 per person, per acute for 7 days of consecutive care is paid in advance via Paypal. Care is available for women, men and children by email for short term, non-life threatening illnesses like: fevers, chills, colds, flu, coughs, vomiting, diarrhea, earaches, teething, back pain, sports injuries, etc. Acute care includes the initial acute intake, cases analysis, acute remedy prescription(s) and any required remedy or potency changes during the acute for up to 7 consecutive days. Extended Acute Care is available at an additional $100 per week. Acute care may be renewed if needed up to a maximum of 3 additional weeks at the same rate (up to 4 weeks maximum). Acute illnesses lasting more than 4 weeks are considered "chronic care". Chronic care fees will apply if ongoing care is requested. Repeat Acute Care clients are required to have fast access to a Home Remedy Kit for optimal care. You will be asked to report by email on a daily basis or as instructed during acute care. This will help the Homeopath to determine a remedy's effectiveness and/or prescribe a new remedy, potency, dosing changes until the acute is over. 90% of acutes we handle are stable in 7 days or less, depending on the issues, with full compliance by the client. Your Acute Care Fee does not include the cost of any remedy(ies) that are prescribed. It is the client's responsibility to obtain the remedies prescribed either at your local pharmacy or health food store or on-line as advised by the homeopath. You may order a remedy kit here: 200C Remedy Acute Kit for $159 plus $17 shipping. All fields are required to submit this Form. Email of person submitting this form. Please provide your home, work, and/or cell phones. Best Time(s) To Call Please provide best times to call, if we need to reach you by phone. Have you ever used homeopathy before? If YES, please give the NAME of your most recent Homeopath. Select one. Select only one (1) from below. Limit Your Answers To the Space Provided, be specific. Anything not fitting in the space will be cut off in the form. Copy the text for the questions below and answer them after each, in this order. When did this acute start? List 5 main symptoms for this acute, in order of severity or concern, ranked with the most important one first. Describe anything that happened emotionally a few days before the acute began. List any medical drugs, treatments homeopathy or supplements used so far for this acute. Provide anything else important for us to know! Give us the details for this acute. Were you REFERRED to us? If you are a REFERRAL, please give the name of the person who referred you. Your information is always kept private and confidential. By submitting this form you give us permission to contact you by phone, Skype and/or email. We will contact you as as soon as possible. A confirmation screen will appear after your successful submission. You will immediately receive a detailed confirmation email sent to the email address used in this form. If you do not receive this email, you did not successfully submit this form. Review and try again. We reply to all inquires for waiting list placement or to schedule within 3 days during business days. If you do not hear back in 2 hours during our business hours, recheck your SPAM folder. This Acute Inquiry Form is copyrighted 2008 - 2019 by Alternative Health Experts, LLC. All rights reserved. No part of this Form or the on-line reporting system may be copied, reproduced digitally or in print without our written permission.